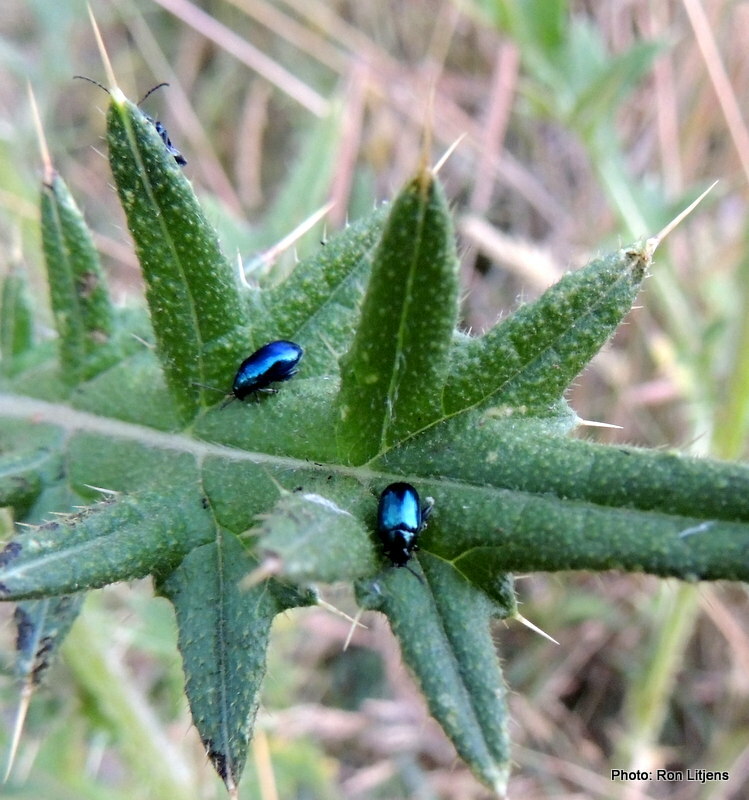 The insect fashionistas have spoken – and the look for this season is iridescent. Iridescence (from the Greek word ‘iris’ meaning rainbow and the Latin word ‘escent’ meaning becoming or resembling) is a term used to describe the rainbow-like play of colours seen in such things as soap bubbles, sea shells and insects (see photo left). 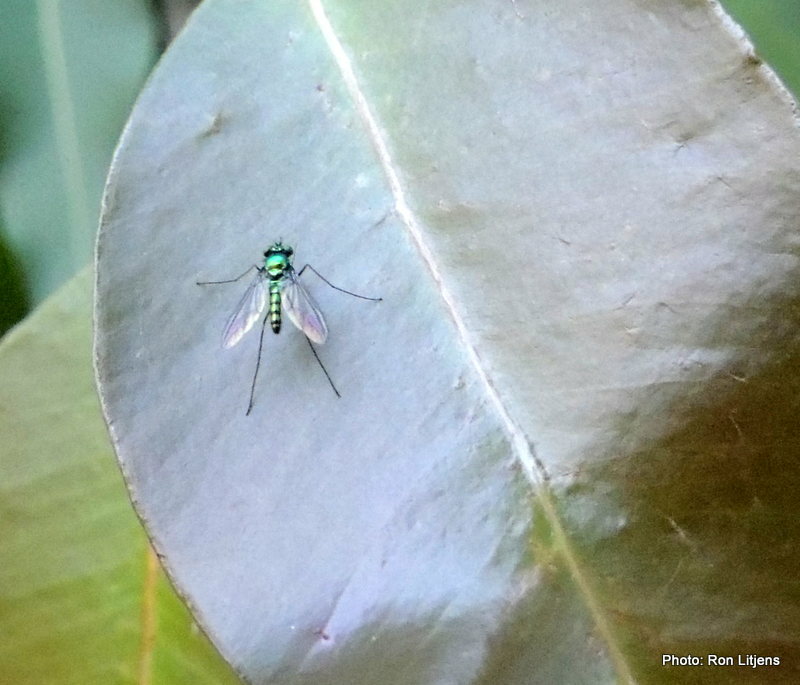 In insects the colours are caused by ridges or veins on the surface of the body or wings. If the spacing between these ridges is of similar distance to the wavelength of light, approximately tens of thousandths of a millimetre, iridescence will be observed. The colour depends on the spacing of the ridges and the angle of the light shining on the creature. In the beetles (pictured right), membranes on the outer wing casings are made up of slanted plate-like layers. These layers bend and then reflect light to give the observed colours. 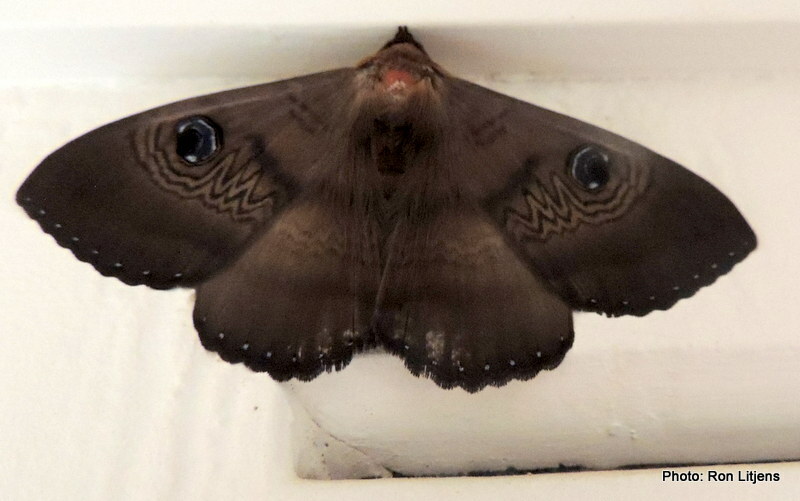 Similarly butterfly and moth wings are covered with overlapping layers of scales that are lined with parallel veins. 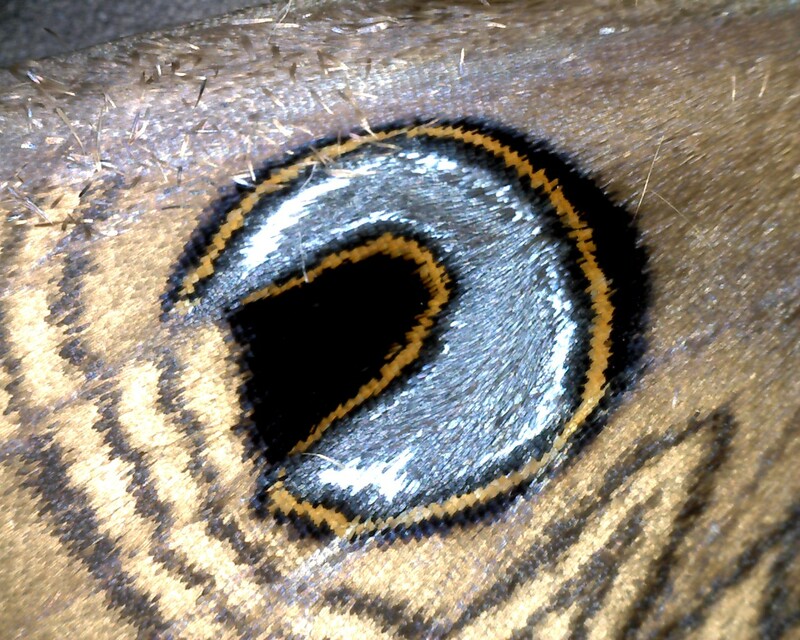 In the example of the Southern Old Lady Moth (Dasypodia selenophora) pictured below, the scales on the eye-spot (shown below right) have the right spacing to cause visible iridescence. In some tropical butterflies the entire wing is iridescent. Strangely enough it is a camouflage mechanism. Because the effect also depends on the angle of the light striking the wings, when the butterfly is flying it seems to appear and disappear as it flaps its wings, thus putting predators off their game. For any of the local Flowerdale Ute Club members now thinking of painting their vehicles with iridescent paint to make them appear and then disappear (for whatever reason) as they drive by, I’m not sure it works like that.